India is a brilliant mosaic of the exotic, romantic, mysterious, burnished throughout its 6,000 years of history and tempered by a collage of cultures. And like a mosaic, any image of India is designed with color: from sari and pallau to phad painting and embroidery to prismatic bazaar and gilded temple. Amid this celebration of color, Rajasthan emerges as the “Jewel in India’s Crown,” glistening in Thar, the Great Indian Desert, capturing what is most exotic and most colorful in a country of intrinsic beauty. With the expert guidance of Asia Odyssey, we “followed the colors” in our exploration of Rajasthan. 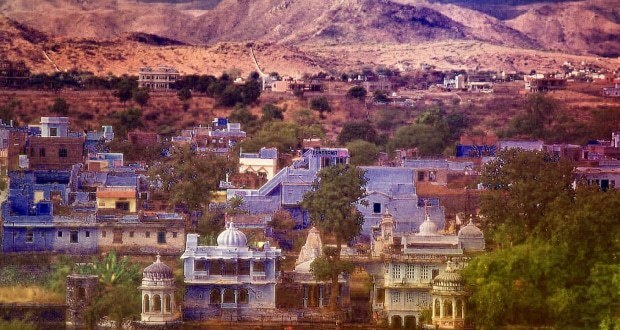 Jaipur is the capital of Rajasthan and its largest city. It was painted pink (the colour of warmth and welcome) in 1876 in honor of a visit by the then Prince of Wales who would become King Edward VII. To this day, a law remains that all buildings in the old town be painted pink, giving it a mystical ambiance. 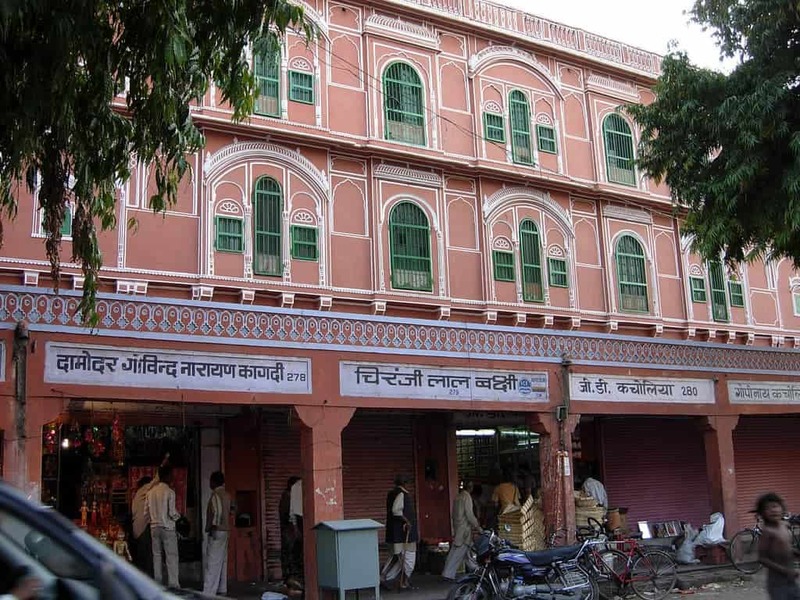 Hawa Mahal was built in 1799 of red and pink sandstone. The shape is believed to simulate the crown of Krishna, the Hindu god. Its 953 intricately decorated windows (jharokhas) allowed the royal women to look out upon the ordinary folk bustling around the bazaar beneath without being seen themselves. The Sisodia Rani Garden was built in 1728 by the Maharaja Sawai Jai Singh for his second queen, Sisodia. Beautiful murals depict the love story of Radha Krishna, reflecting the theme of eternal love represented throughout the garden in the colors of the flowers, profusion of greenery, graceful water fountains and iridescent water channels. 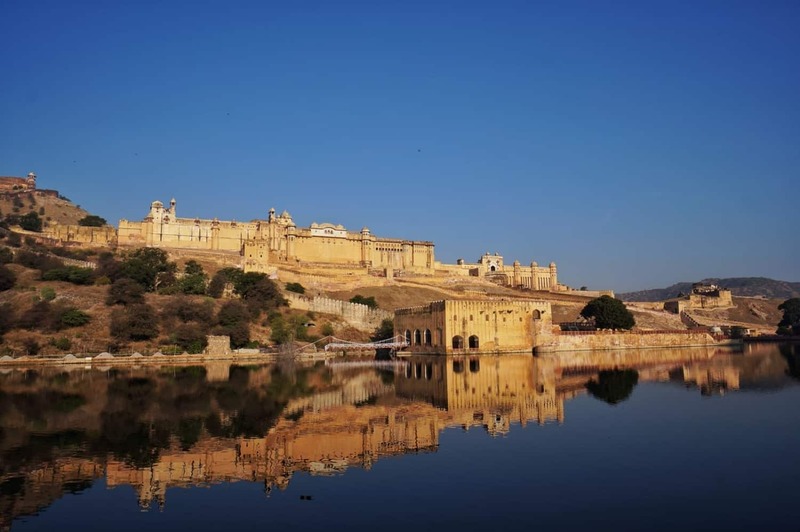 Just outside of Jaipur is the Amber Fort, a paean to Hindu architecture, its distinctive red sandstone walls sitting majestically atop a mountain ridge since 1592. The most spectacular sight, among the many, is the Sheesh Mahal section (Palace of Mirrors) embellished with thousands of mirror tiles and colored-glass mosaics. The light from one candle creates thousands of flickering reflections that radiate throughout the room—an experience that stirs the soul. 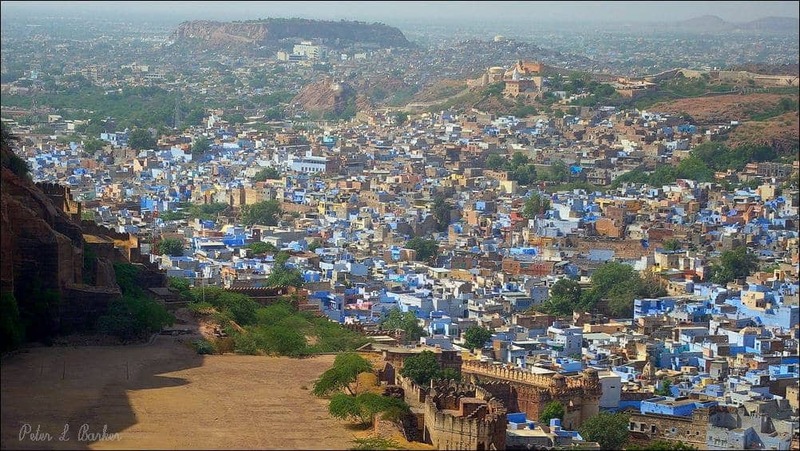 Jodhpur is known as the “Gateway of the Thar Desert,” but is most famous for the “Brahmin-Blue Cubes,” homes with roofs painted a blazing blue that casts an ephemeral blue tint onto the city (and do double duty as an insect repellent). The medieval streets twist and turn and sometimes go nowhere, but along them floats the fragrance of incense, flowers and spices and the melodic fusion of classical and folk music. And everywhere the rich and vibrant colors of the beaded and embroidered textiles, gem-adorned cuff bracelets and luxurious pashimas calling to you. Now here’s the surprise. Who knew that Jodphur is known for its footwear! To the other shoe aficionados out there, ‘nuff said. The fort of Jaisalmer, built in 1156, is a breathtaking sight, a golden-honey sandcastle rising from the dunes of the Thar. No place better conjures up visions of ancient camel trains off to distant lands along the Silk Road, the sound of camel bells lingering. 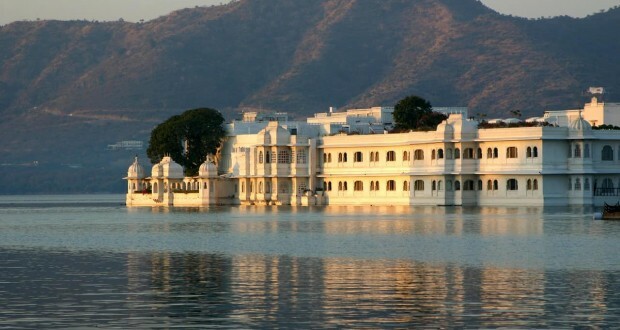 Ninety-nine bastions enclose five palaces, several temples and grand havelis (mansions), all carved from the golden sand. The perfect day ends with a camel ride across windswept sand dunes as the sun sets.